If I were to ask you to come up with a short list of words that characterize Advent for you, I suspect most of us would include the words “waiting” and “patience.” In fact, during his homily last weekend, something that our homilist said about patience really caught my attention and gave me pause. Perhaps you remember that our homilist asked the rhetorical question whether we, as gay Catholics, have something to teach the wider Church about the nature and value of patience, given the degree of patience that we and those who have gone before us have had to demonstrate as we wait for society and Church even still to recognize our full humanity and the wholeness and holiness of our sexuality. And so as we think about patience and the value of waiting during this Advent season, a couple of questions come time mind. The first is … who is coming, for whom are we patiently waiting? And the second is … how will we know him when we see him? Unlike Vladimir and Estragon, the characters in Samuel Becket’s existentialist play, “Waiting for Godot,” we are not waiting for someone who never shows up. Despite their being told that Godot will surely come tomorrow, we know that in this dramatic presentation from the Theater of the Absurd, Godot will not come tomorrow, nor any tomorrow thereafter. Of course, the fact that the title character never arrives suggests that he doesn’t even exist. For we who believe, however, just the opposite is true. We wait for God whom we know will come – and we know this precisely because God has already come. Probably more important than the fact that God has come in time in the past, and out belief that God will come again in the future … is our belief that God does come and is coming into our daily lives each and every day. That’s the fundamental message of the feast we are preparing to celebrate, isn’t it? The message of Christmas – without which there is no Christianity – is that God became incarnate, in time, in the very flesh and blood of humanity. Christmas also means that this Incarnation was not limited to one time, one place, one person. But it means that the Incarnation is for all time, all places, all persons. Even if our faith is strong in answering the “Who” question, I wonder if the “how” question challenges us just a bit. Here’s what I mean. Our faith tells us that God came in the person of Jesus two thousand years ago; and it also tells us that God will come again in glory at the end of time. But what about now? What about these “in between times” before the First and Second Comings? Do we also believe that God is coming into our world and our lives right now? Do we have eyes to see the presence of God all around us, even at this very moment? Do we really believe that the Incarnation of the Divine in Jesus of Nazareth was precisely to remind us of the Incarnation of Divine in the flesh and blood lives of every woman, man and child on the face of the earth? I put that question not only to the wider church and all who claim to be followers of Jesus; I put that question not only to all of you gathered here tonight; but I put that question also to myself … because if the answer is “yes,” If I say that yes, I do believe that God is present here and now in me, then what does that belief tell me about the way am – or should be – living my life? What does that say about the things I do or don’t do? … about the choices I make or don’t make? … about the love I give or fail to give others who are in my life? 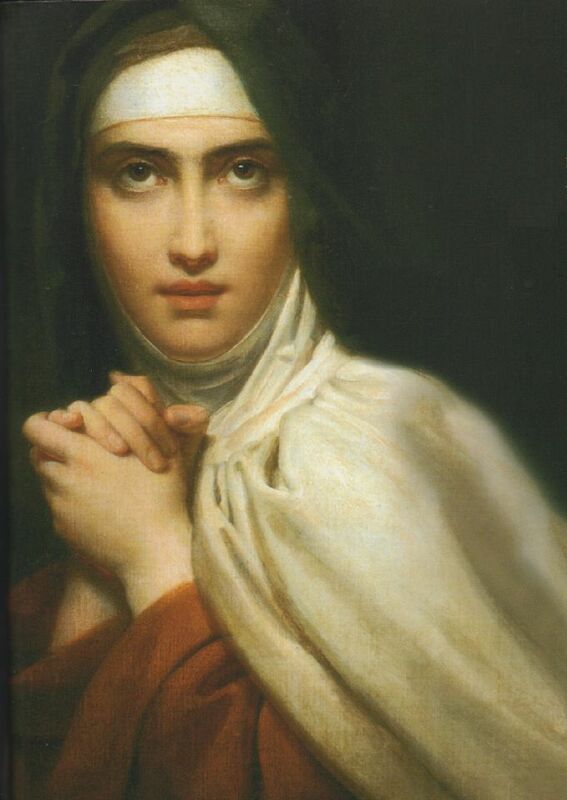 One of the greatest mystics of our Catholic tradition was Teresa of Avila, the discalced Carmelite nun who, with little formal education or training, wrote deeply and profoundly about the marriage of the human and the divine. In her most developed book, Interior Castle, Teresa writes about the human soul describing it as a castle made of a single diamond; and within that castle are seven mansions that lead closer and closer to ultimate union with God. Teresa – writing for her sisters to help them on their own spiritual journeys of faith – answers my second question and tells us very clearly how we will know when God is present. Teresa reminded her sisters and reminds us across the centuries that even when we are engaged in what some might call “worldly” activities, in the daily “stuff” of every day life of – in both its pleasures and its struggles, in both our successes and our shortcomings – it is in the midst of all this that God comes into our lives, hearts and our souls. Teresa reminds us that God comes to us through the life of someone in whom we can see beauty and truth. God comes to us in the wonder of nature, the crispness of an autumn day, and the stillness of a breath-taking sunset. God comes in the love of another person who loves us so deeply and so unconditionally that our defenses are lowered and we dare to accept the fact that we are lovable. God comes when we gather with friends and family to share a meal, when we reach out a hand to someone we’ve hurt, or even simply to someone who is alone and for whom solitude is less a choice and more simply just the way life is. God comes when we give without fanfare or recognition to those in need – especially when we give not from our bounty, but from our necessity. Most of all, she reminds us that there is no limit to the countless ways in which God comes into our daily lives. Perhaps that’s we need especially to hear; that during this busy, over-scheduled and distraction-filled time of year, we need to be reminded that every step along the way, every word we speak, every action we take, every person we meet … these all have within them the possibility to be encounters with God incarnate in our world. This entry was posted in Homilies and tagged Interior Castle, Jesus Take the Wheel, patience, Teresa of Avila. Bookmark the permalink.